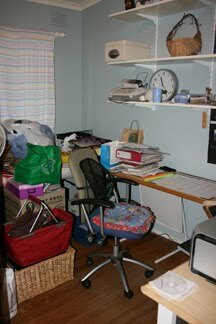 How cleansing is the de-cluttering process – amazingly!!! 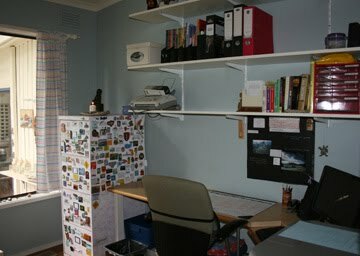 I have spent the last few days totally clearing out every nook and cranny of my office. After filling the paper recycling bin and sorting through all manner of documents I can now walk into the room and breathe. Previously the accumulation of all things not office related made the air in the room stifling. Where do I move onto now – has to be my wardrobe. Living on a dirt road everything tends to get very dusty very quickly and my walk in robe is crying out for a good clean out. So that is my home project for the next few days. “Davine Time” update: Visited a couple of shops that I have wanted to check out for a while. Wandering aimlessly in shops that interest me e.g. Scrapbooking & Jewellery it so relaxing and just makes me feel really good. Sounds like some wonderful me time in there as well, good for you! Woo Hoo! Congratulations, Davine! Your 'new' room looks fabulous! Seeing your photos reminds me I have a very messy place with stuff I don't really need. I think I might be inspored enough to do something about it after seeing your efforts. Oops. that should read "inspired" not inspored. Typing is not one of my strongt points. You have had a busy few days Davine. Finally caught up with your blog. Love your craft work. The de-cluttering is such a refreshing experience when its been done!!! My wardrobe in definite need of this! Plus, I need to buy some new storage to put in there. Good Luck with yours! I love it when things are all clean out!! i am in the process of cleaning out my file cabnit!